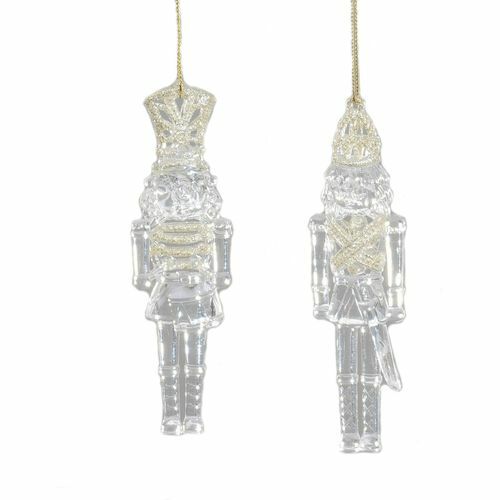 Set of 2 Christmas tree Decorations, of the Festive Nutcrackers. These are a high quality luxury finish. Made from acrylic with embossed detail and gold glitter finishing touches.